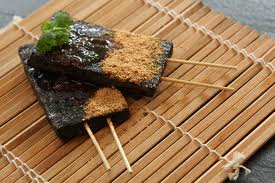 This pudding is a mix of pig's blood and sticky rice and stuck on the end of a stick like a lollipop. For the final Taiwanese touch, the pudding is coated in a sweet peanut powder. Basketball star Jeremy Lin Shu-How endorsed pig’s blood rice cake as one of his favorite snacks on his recent visit to Taiwan. If it is good enough for Lin, it is good enough for us. 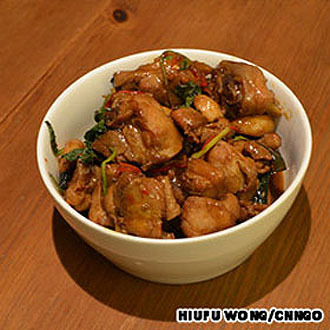 Three-cup chicken is cooked in a cup of rice wine, a cup of oil and a cup of soy sauce. To this Taiwanese culinary triumvirate is added some fresh basil, chilies and garlic for an irresistible combination. 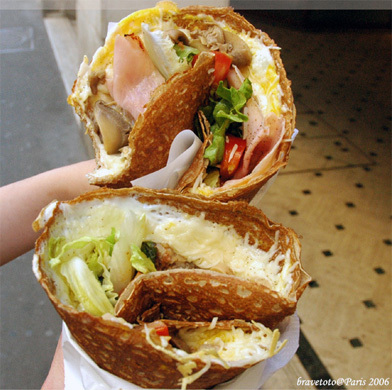 Agei comes from the Japanese "aburaage" which are deep-fried tofu pockets. fish paste. A typical sweet-spicy sauce completes it. 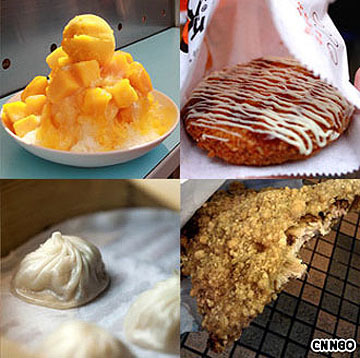 Fen yuan refers to all the chewy dough that Taiwanese like to add to their dessert. 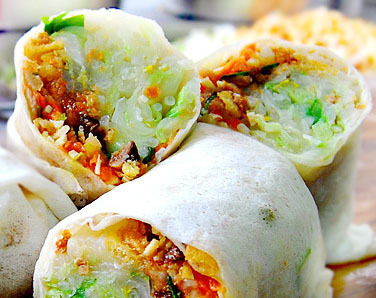 Sometimes they are made with sticky rice flour and various fillings. The dough is slightly translucent when steamed, revealing the colorful insides -- red bean, green tea, egg custard. They are just so joyful to look at. Fen yuan is more commonly made from tapioca without filling. And when black sugar is added, it becomes the black pearls in bubble tea, called pearl fen yuan. According to a Taipei Times’ report in 2011, Taiwanese devour more than 250,000 fried chicken cutlets each day. If piled atop each other, they would make a chicken cutlet tower 10 times as tall as Taipei 101, the island’s tallest skyscraper at 508 meters. Go to Hot-star (豪大) for the original oversized chicken cutlet. The enormous slice of meat is as big as your face and very moist with a crispy crust. A generous coating of five-spice powder and pepper gives it a kick. Starting as a small counter at Shilin night market, Hot-star is now a franchise present in Hong Kong, Malaysia and Singapore. Barbecued Taiwanese cuttlefish hits the spot every time. Although a thick cuttlefish soup with herbs and veggies is a typical Taiwanese winter-warmer, the best way to enjoy the mollusks is fresh out of seawater, straight onto the charcoal grill. 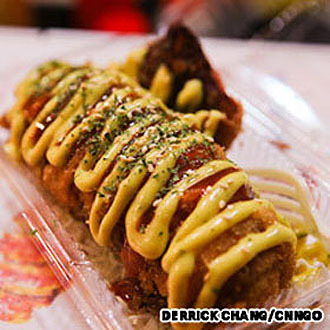 Perhaps inspired by an Italian recipe book, this snack from Taichung’s famed Feng Jia night market, Taiwan’s biggest, features pan-fried risotto, stuffed into a whole squid, then deep fried to an al dente crisp and topped off with sweet Dijon mustard and mayonnaise sauce. CNN: Inspired by the Japanese deep-fried patty, korokke, and the French croquette, the ke le bing is now an indispensable snack in Taiwan. 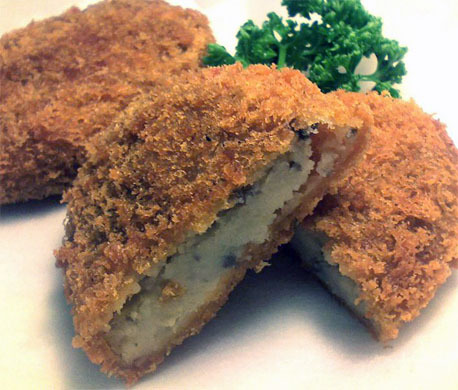 Stuffed with mashed potato or minced meat, the disc-shaped croquette is coated with flour, eggs and breadcrumbs. Last, but definitely not the least. 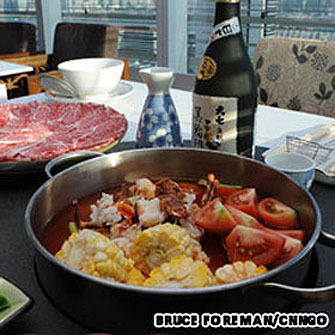 Spicy hotpot or just hotpot cuisines are very popular in Tawan.